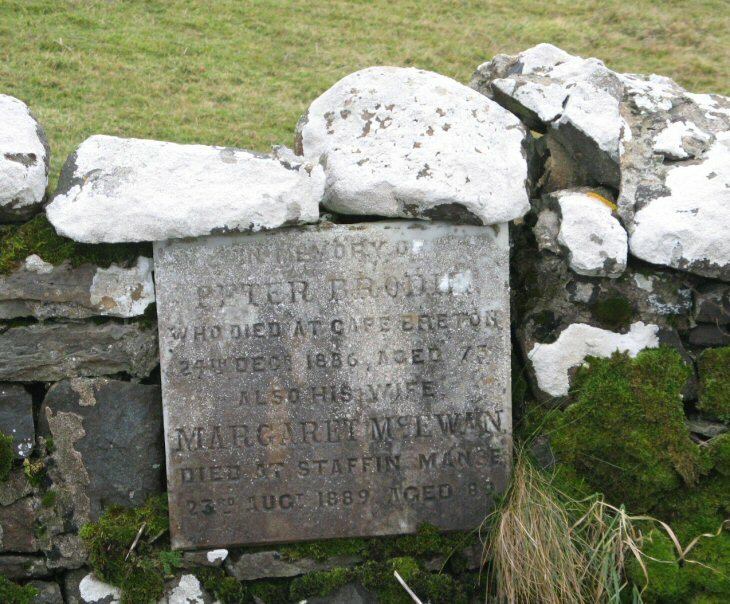 Skye Gravestones | Peter & Margaet (McEwan) Brodie. Peter & Margaet (McEwan) Brodie. In memory of/PETER BRODIE/who died at Cape Breton/24th Decr. 1885 aged 73/also his wife/MARGARET McEWAN/died at Staffin Manse/23rd Augt. 1889 aged 89.